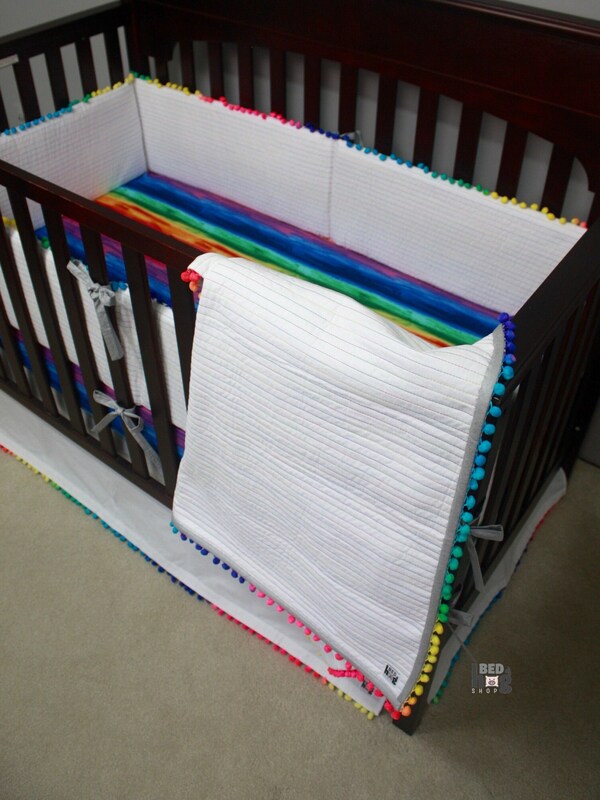 *40" x 50" Rainbow baby quilt quilted with two different variegated threads on a solid white background, finished with rainbow ombré pom pom trim and silver binding. 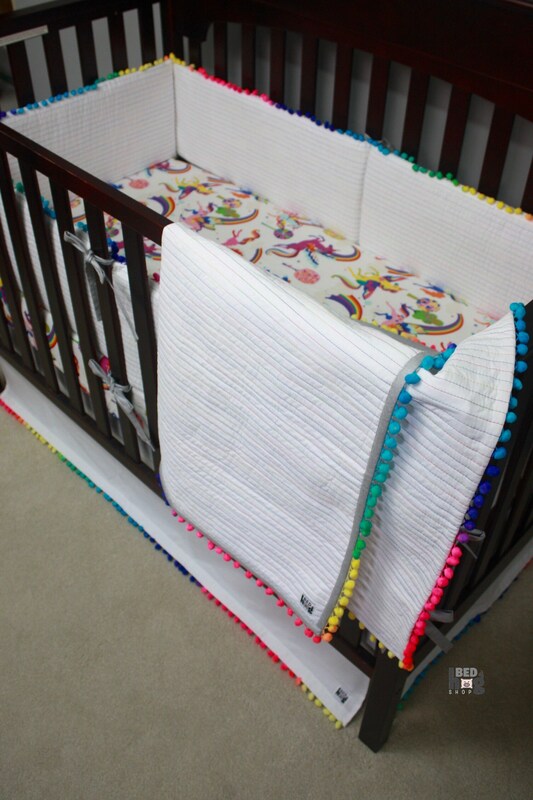 Low loft cotton batting. 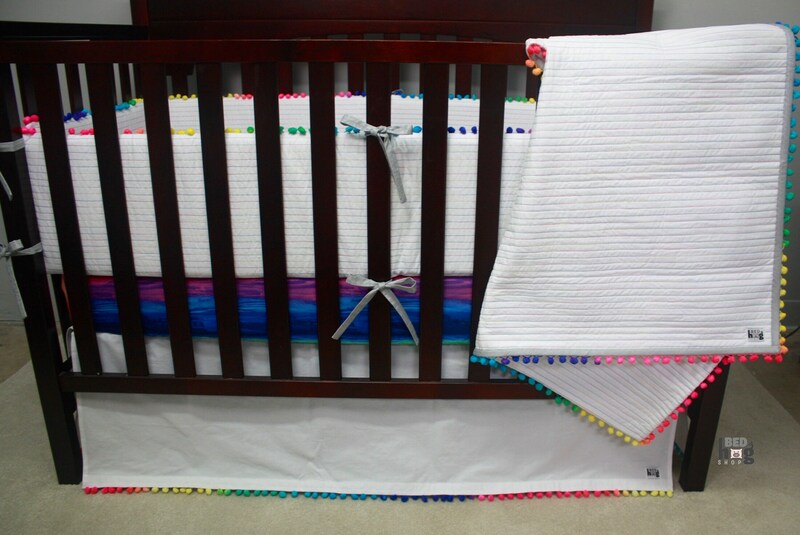 *YOUR CHOICE of cotton fitted crib sheets(fits standard crib mattress 28" x 52" with 8" gusset and french seams). 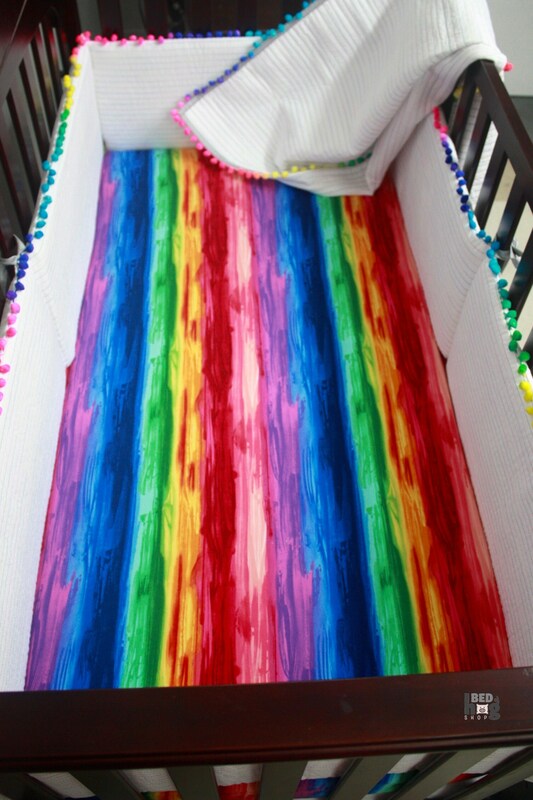 You choose between one rainbow paint stripe, unicorns and rainbows, or one of each option. 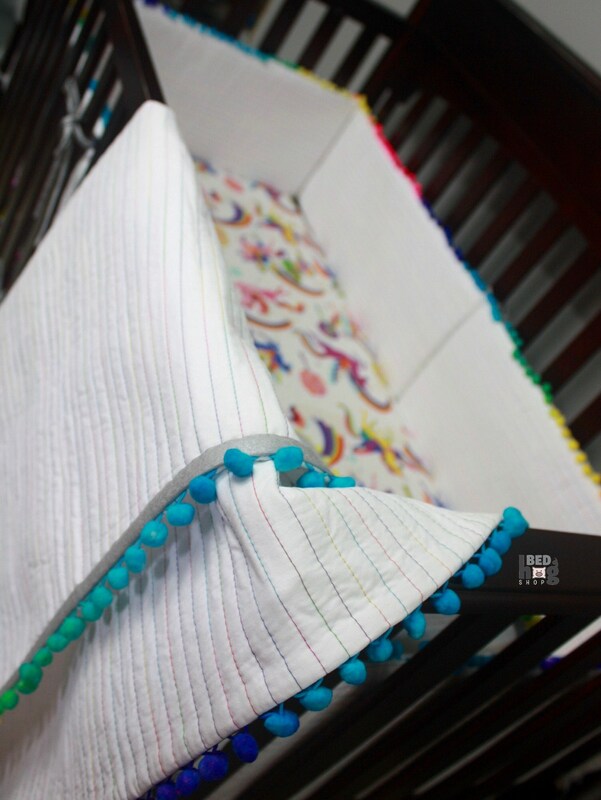 *Quilted rainbow bumpers quilted with two different variegated threads on a solid white background, rainbow ombré pom pom trim on top edge, 16" long metallic silver cotton ties. 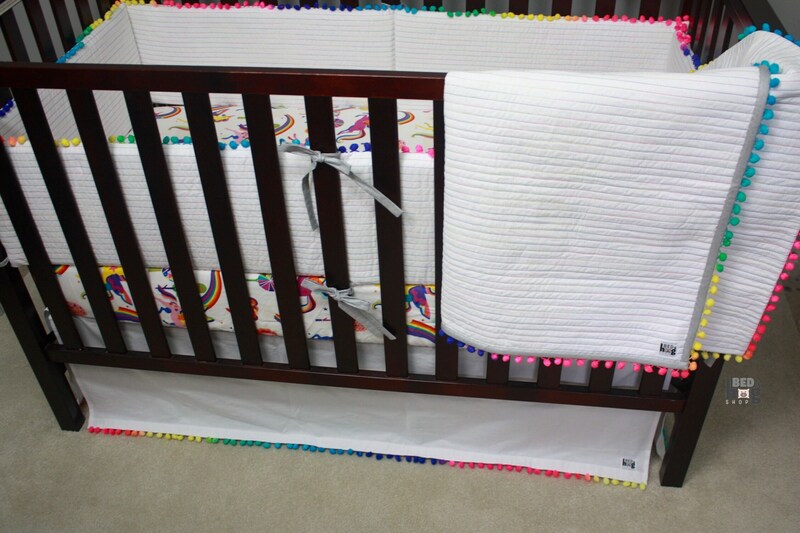 Bumpers come as a set of two short pads measuring 26" x 12" x 1" and two long pads measuring 52" x 12" x 1". 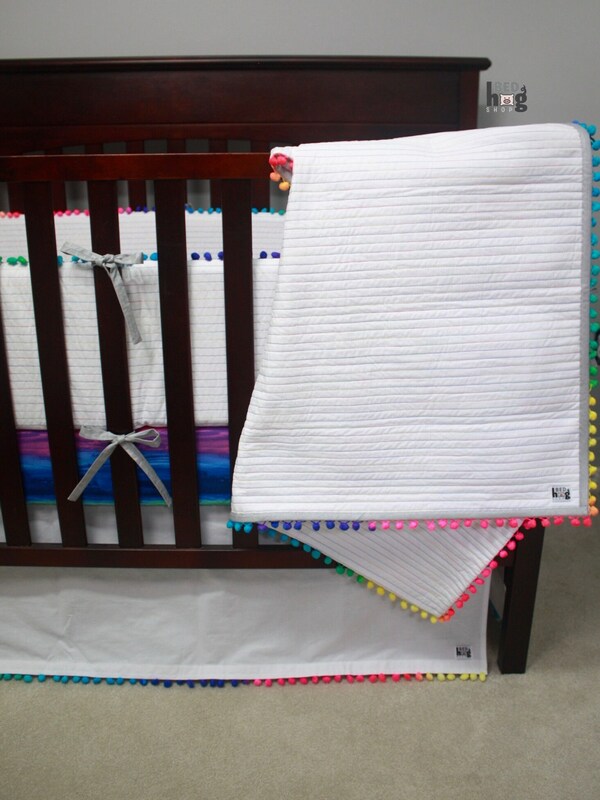 Low loft cotton batting and compressed polyester inserts. 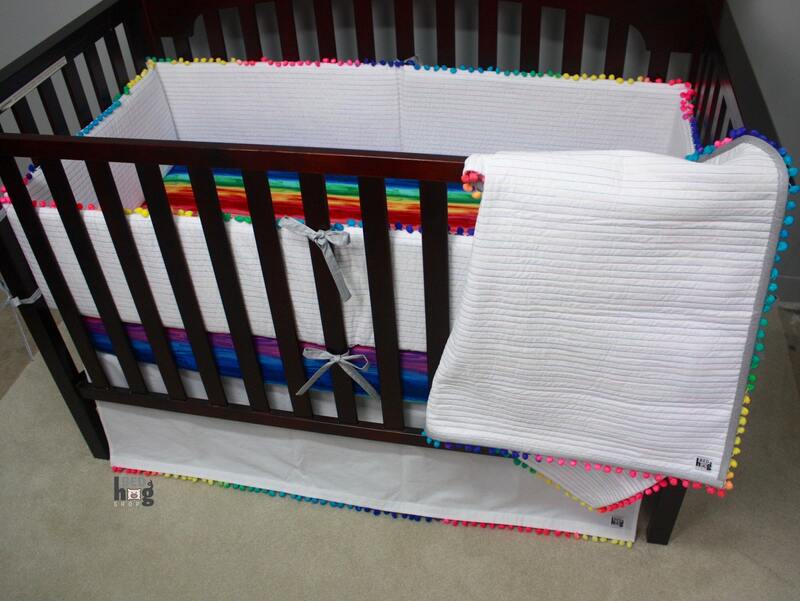 *Solid white flat front crib skirt with rainbow ombré pom pom trim with 14” drop and 4 slits. Deck measures 50 1/2" x 26 1/2". 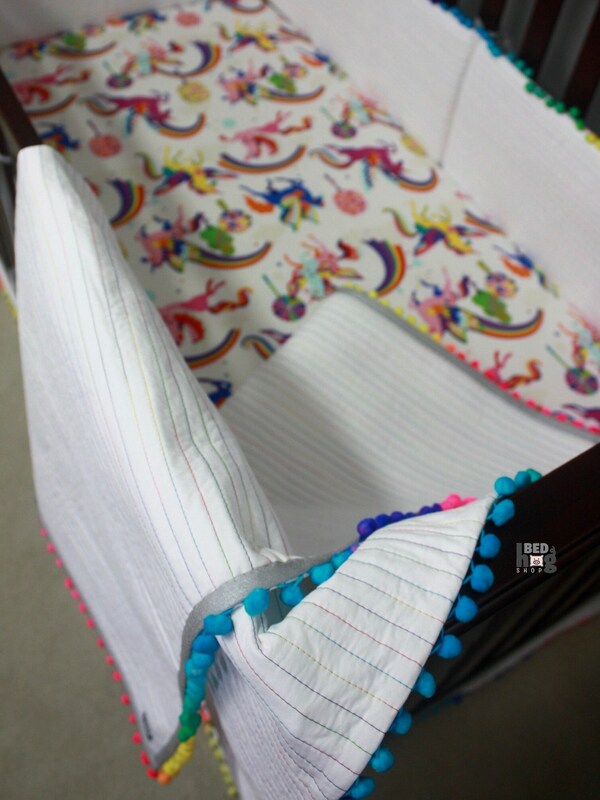 *Note: Although your crib may meet the US 'Standard', the crib deck (platform that holds up the crib mattress) can vary in size, width ranging from 50" - 51.5"depending on the crib brand, model, etc... To ensure that all seams are concealed, I make crib skirts to the dimensions indicated above. 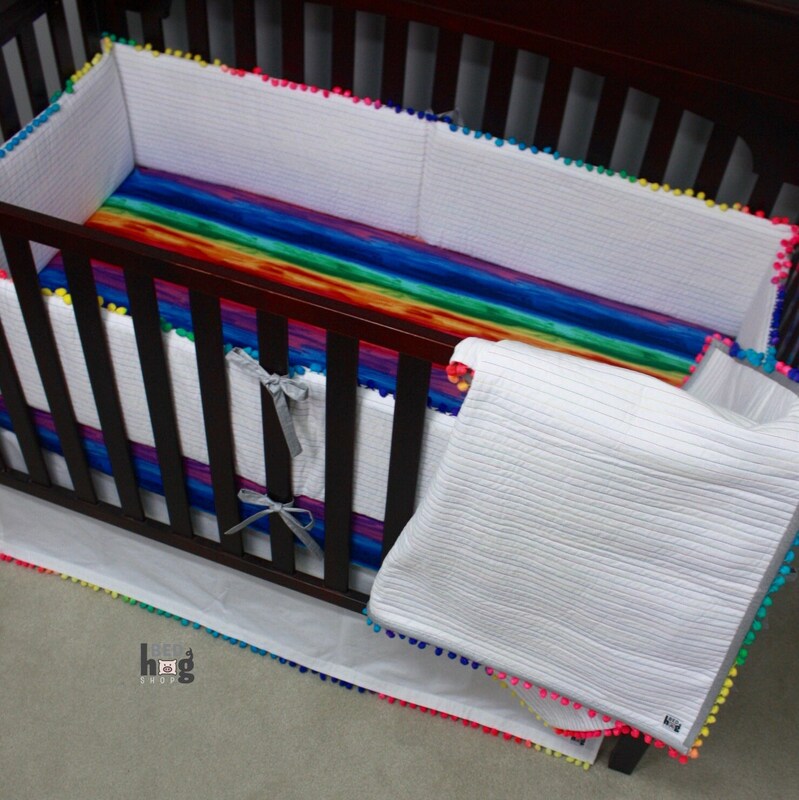 **Note: Although your crib may meet the US 'Standard', crib types may vary by height, width, and depth depending on the crib brand, model, etc...I make crib bumpers to the dimensions indicated above.